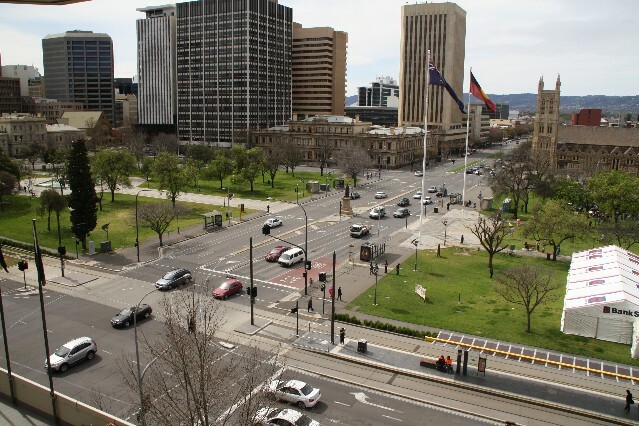 Adelaide is the state capital city of South Australia and Australia's 5th largest city. With a population of 1.3 Million people it is often referred to as the City of Churches due to the high number of churches and cathedrals throughout the city. Adelaide is the only capital city of Australia that did not start with convicts. The only people that settled Adelaide decided to move there, so no-one stole a loaf of bread to get there. 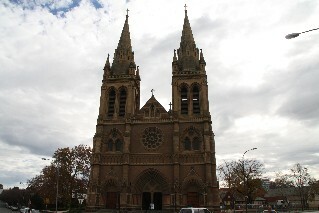 Adelaide is known as the City of Churches as the city has many impressive Churches and Cathedrals throughout. 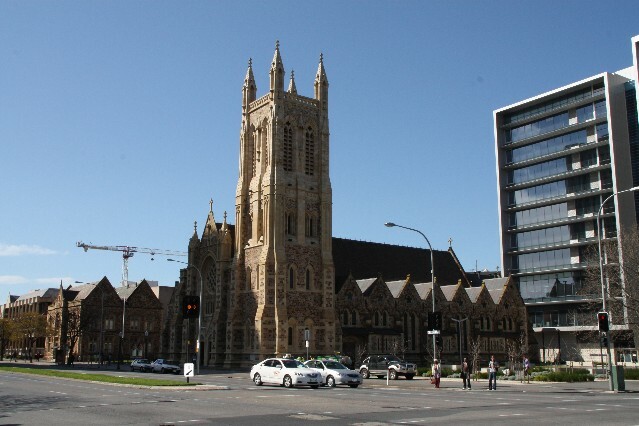 Some great examples of these churches are St Francis Xavier Catholic Cathedral built in 1858 located right next to Victoria Square as well as St Peter's Cathedral which was built in 1847 in North Adelaide. Adelaide has some great restaurants from all over the world. 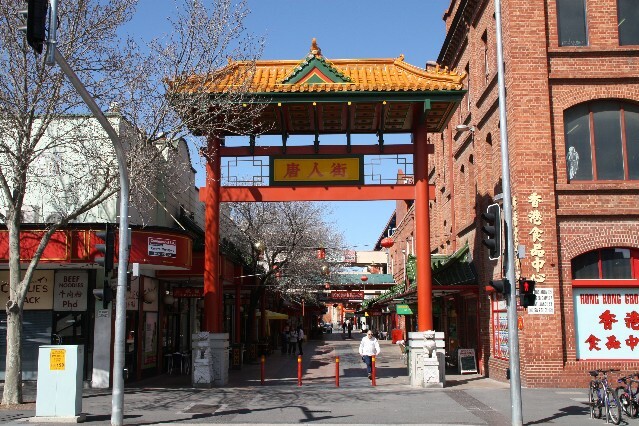 The highest concentration of restaurants is along Cougar Street in the centre of Adelaide along side the Chinatown district. For a list of restaurants with restaurant reviews check out our Adelaide Restaurant Guide. 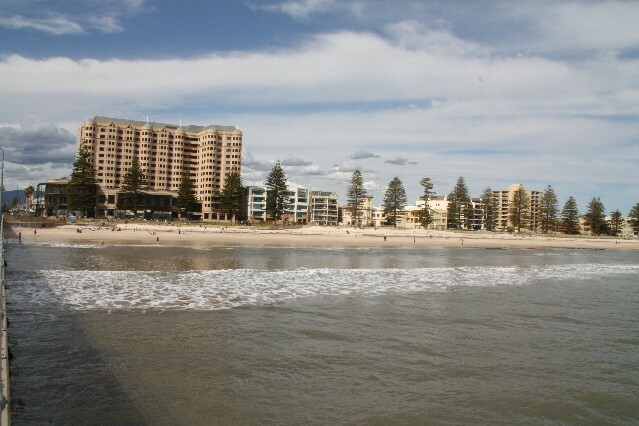 Adelaide is referred to a Mediterranean climate with hot and dry summers and cool, wet winters. The maximum average temperatures in the summer is 29 degrees Celsius. Temps can get over 40 degrees Celsius on a few days during January and early February. In winter the maximum average temperature is 16 degrees Celsius. 1. 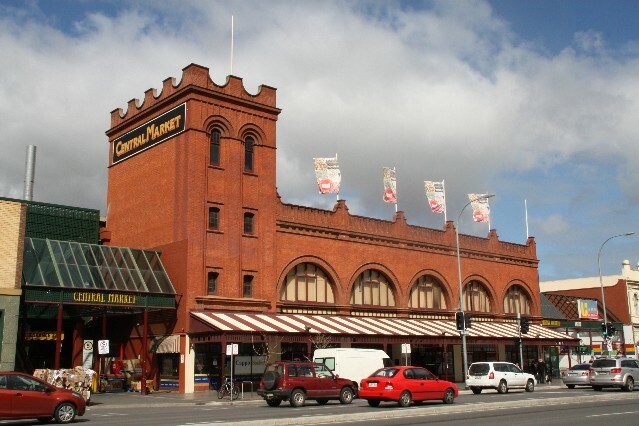 Adelaide Central Market is the most visited attraction of Adelaide. Located between Grote and Gougar St it has 80 stalls selling fresh fruit and vegetables, meat poultry as well as a selection of fashion and gift items. Right next door to the Central Market is Adelaide's Chinatown. 2. Glenelg Beachside suburb of Adelaide. Just 30 minutes by tram away from the centre of Adelaide. 3. 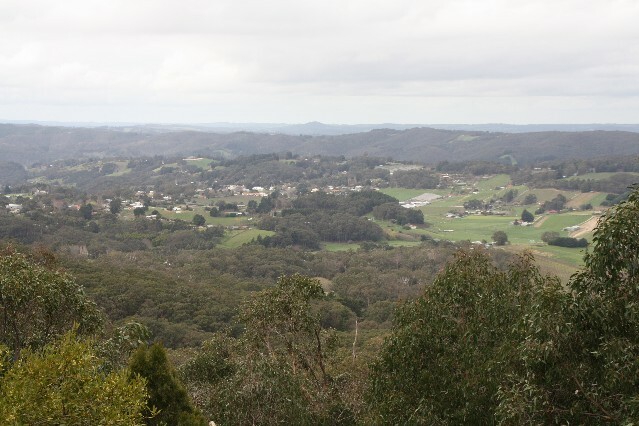 Adelaide Hills, with many picturesque villages throughout the hills including the first German settlement village Hahndorf. 4. Adelaide Chinatown is located right next to Adelaide's Central Market. A small chinatown compared to other in Sydney though with a good selection of Chinese Restaurants and grocery stores. 5. Hahndorf is a small village located in the Adelaide Hills. 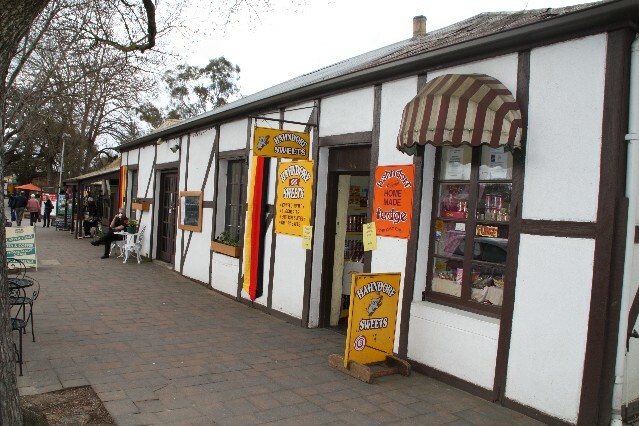 Hahndorf was the first German settlement in Australia. A historical town with many of the original building still standing. 6. Adelaide Parklands. 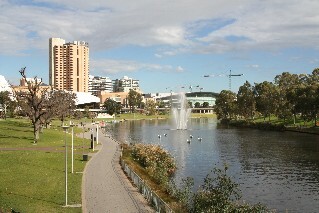 Adelaide is surrounded by parklands with many walking and cycling tracks. The parklands were originally built to keep the French out of the city, during the war between England and France, not that they got this far. Now they are perfect for a relaxing day. 7. 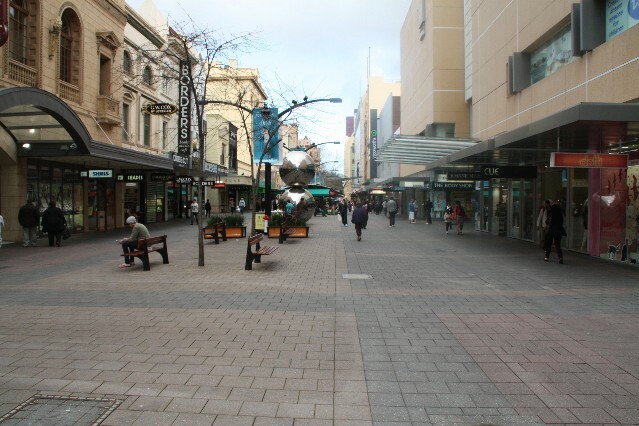 Rundle Mall is Adelaide's premier shopping district. A pedestrian mall 500m long lined with shopping plazas, department stores, specialty shops and cafes. 8. Gougar Street is food central of Adelaide. The street has 67 restaurants with a selection of Chinese, Thai, Italian, Argentinean as well as many other casual dining restaurants. Check out our Adelaide Restaurant Guide. 9. 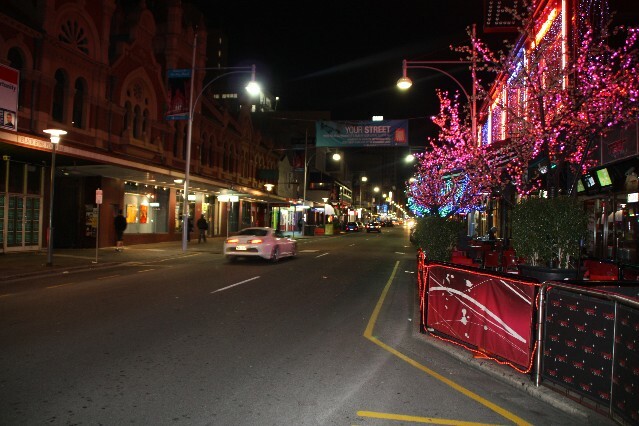 Hindley Street is Adelaide's premier night spot with a large number of pubs, bars, nightclubs, restaurants and a few strip clubs. Friday and Saturday nights are the busiest with things heating up after 10pm. 10. 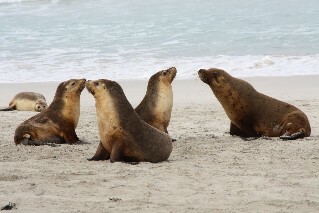 Kangaroo Island, although not in Adelaide, is one of the most popular tourist destinations in South Australia. 113Km southwest of Adelaide it is an easy day trip from Adelaide with an option to fly there or take a bus trip and catch the ferry across to the island.